Including The Most Popular In The West Of England, And The Airs To Which They Are Sung. If you are interested in the traditions of Christmas this book is a mine of information. 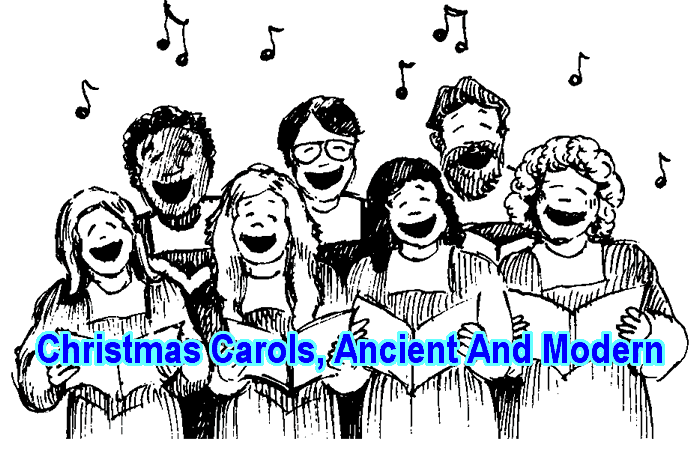 As well as providing the lyrics for many early Carols & Christmas songs It provides in the very extensive introduction and notes a huge amount of information on the history, development and origins of our Christmas celebrations and traditions. Because of the very extensive introduction section I have had to add 200 to pages numbers for the the section with the Carol lyrics. For Christmas Music books and sheet music to buy check the huge Christmas Collection at Sheet Music Plus. Christmas Carols, Ancient And Modern, Contents & Page Numbers.